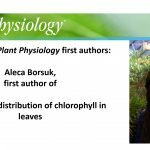 Brief bio: Plant research always fascinated me from my bachelor studies. 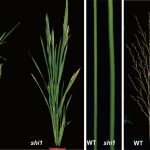 As a Ph.D. student, I was fortunate to work in the laboratory of Professor K. Veluthambi, School of Plant Biotechnology, MKU, Madurai, India, where I received training in recombinant DNA technology, plant molecular biology and plant tissue culture and specifically researched to identify genes involved in anther development in rice by T-DNA tagging. Afterwards, I joined as a postdoc in Professor Guido Sessa’s lab at Tel Aviv University, Tel Aviv, Israel, where I studied the involvement of brassinosteroid signaling kinases (BSKs) in pattern-triggered immunity (PTI). My findings demonstrate that BSK5 plays a role in PTI by interacting with cell surface-localized PRRs. In the future, I hope to continue my research in plant science and apply the research results to improve crop plants.